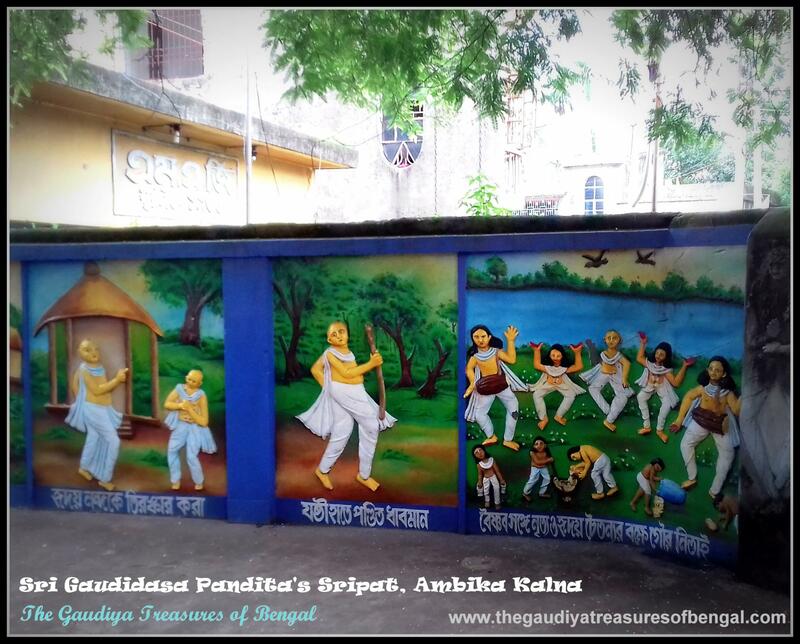 A few minutes ride from Sri Gauranga Bari (at Katwa), brought us to the house of the great devotee, Sri Madhu Pramanick ,the barber, who,keeping a stone in his heart, had shaved Sri Mahaprabhu’s hairs during His sannyasa initiation. The place is locally known as ‘Sakhi Akhra’ and is situated at Baganpara, in Katwa. Madhu wept bitterly as did all the devotees, who couldn’t tolerate the Lord of their lives relinquishing His beautiful curly hair,decorated with malati flowers ,that had previously enchanted the three worlds. That day, instead of picking up his razor, Sri Madhu, sat hanging his head between his hands and cried profusely.Madhu could realize that Sri Nimai pandita was the Supreme Lord and he requested Him again and again to reconsider His decision of accepting the sannyasa order. But Nimai remained very determined. Finally, at the end of the day, Mahaprabhu’s hairs were shaved, and after performing this ghastly act, the tearful Madhu immediately threw off his razors in the Ganges and vowed never to use them again. He repeatedly cursed his profession which made him commit such a heartbreaking deed. From that day onwards, Madhu Napit (barber) became Madhu Moira (sweet maker) and spent his days meditating on the blissful form of Sri Gaurasundara. Kavi Karnapura mentions in Sri Gaura Gannoddesha dipika, that Sri Gaudidasa Pandita was the incarnation of the cowherd boy Subala, an intimate friend of Sri Krishna and Balarama in Vrindavana. 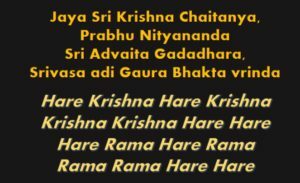 Sri Krishnadasa Kaviraja Goswami greatly glorifies Sri Gaudidasa in his Caitanya Caritamrta stating that Sri Gaudidasa was an emblem of devotional service and had the potency to receive and deliver ecstatic love of God to one and all (..Krishna prema dite nite dhare maha-shakti..). It is exclaimed that Sri Gaudidasa had sacrificed everything for the service of Lord Nityananda ,even the fellowship of his own family. He was one of the primary associates to have assisted Lord Nitai manifest His magnanimous pastimes. 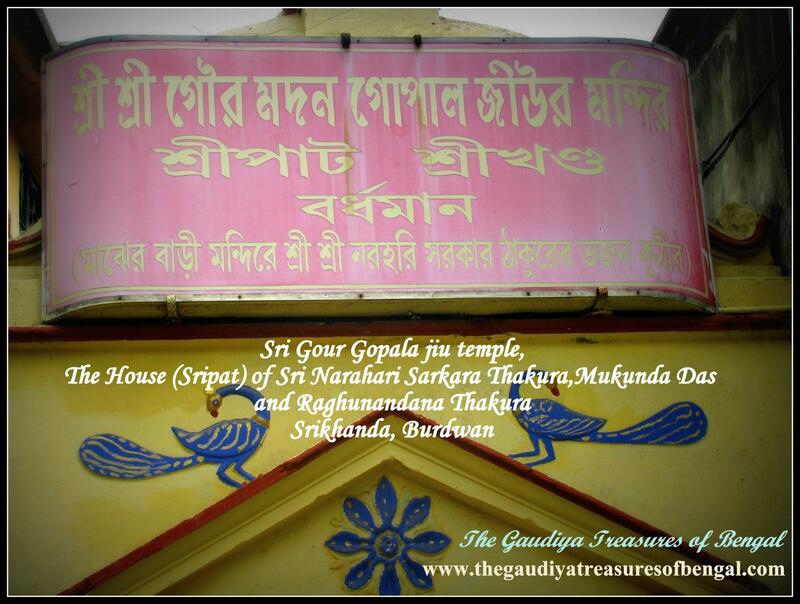 Sri Gaudidasa’s Sripat at Kalna, houses his worshipable mesmerizing Gaura-Nitai deities. 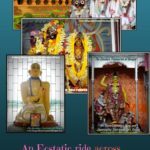 At this place, is also worshipped a copy of Bhagavad Gita, that was supposedly handwritten by Lord Caitanya and later gifted to Sri Gaudidasa. 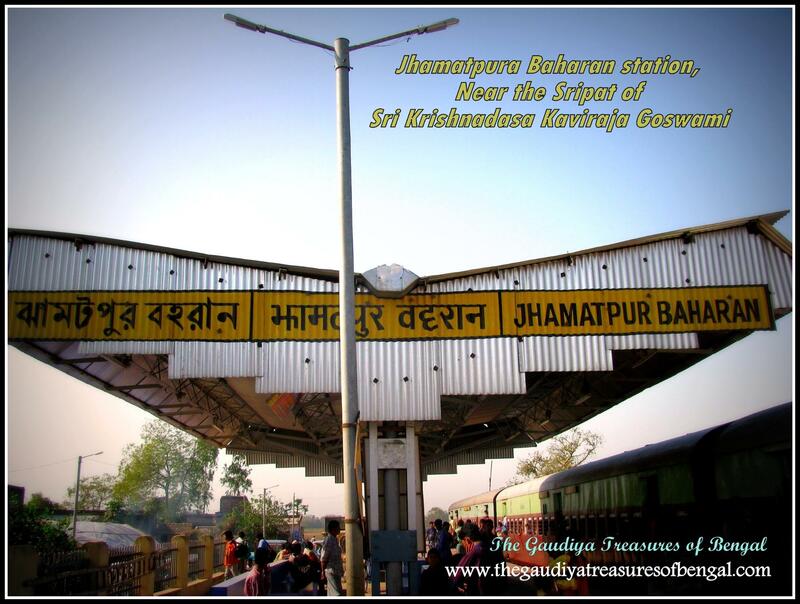 One visiting the temple can also take darsana of an oar that Mahaprabhu had used to cross over the Ganges while travelling to meet Gaudidasa at Kalna.According to the hearsay, Sriman Mahaprabhu had handed it over to Gaudidasa, and asked him to similarly use it to help the fallen souls cross over the ocean of material existence.We shall try to narrate in this article a few of the innumerable pastimes that had taken place over the years at Sri Gaudidasa’s sripat. We seek the mercy of this great personality in order to pen a few lines in his glorification. Kavi Karnapura writes in Sri Gaura Ganoddesha Dipika, that the two wives of Lord Balarama, Srimati Varuni and Srimati Revati devi , appeared in Lord Caitanya’s pastimes as Srimati Vasudha and Jahnava, the two dear wives of Sri Nityananda Prabhu. They were the daughters of the great personality named Suryadas Sarkhel , who had been Maharaja Kakudmi in his previous incarnation. 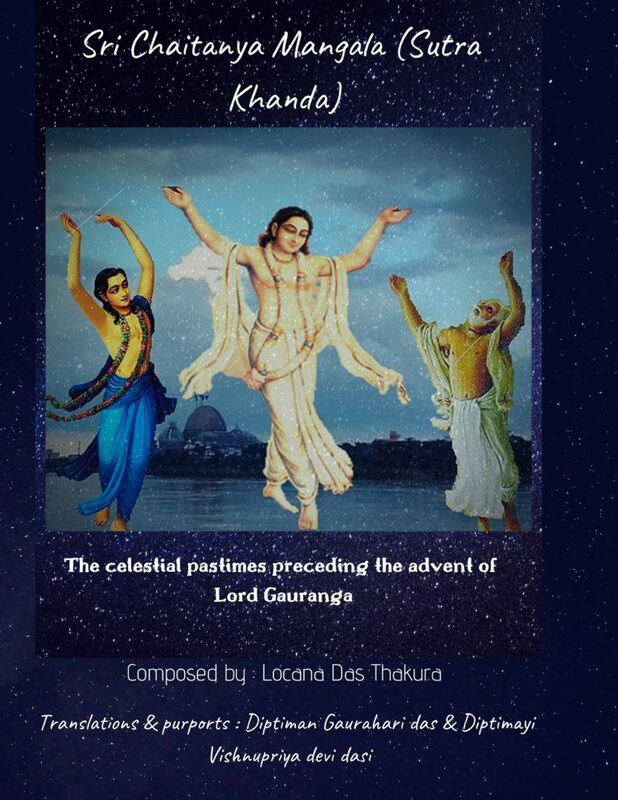 ’The Gaudiya Treasures of Bengal’ shall try its best to narrate below the exalted pastimes of Lord Nityananda’s marriage as has been described by His dear disciple Srila Vrindavana Das Thakura, in his heart melting composition , ‘Sri Nityananda Caritamrta’. 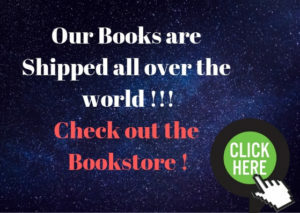 The readers are hereby requested to excuse any of our unintentional mistakes ,as we are mere fools who, not knowing our limits, are trying to delve deep into this esoteric well, to excavate the mesmerizing jewels of Doyal Nitai’s ecstatic pastimes. 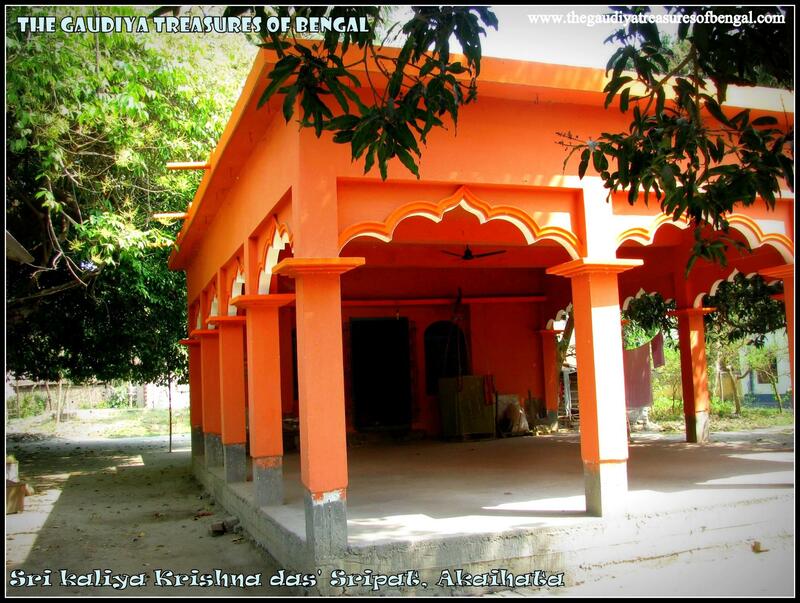 Sri Nityananda Prabhu decided to marry and settle down in Bengal, after receiving Lord Caitanya’s instructions.Accompanying Sri Uddharana datta Thakura, His eternal associate, Lord Nitai set out for Ambika Kalna.Arriving at the doorsteps of Suryadasa Sarkhel, Nityananda prabhu waited outside as Sri Uddharana rushed inside to inform the residents of the Lord’s arrival.Suryadasa held a very important post in the service of the king of Gauda and was hence awarded with the title ‘Sarkhel’ (commander) .He used to earn a lot of money as his salary.Falling at Nityananda Prabhu’s lotus feet, Sri Suryadasa offered Him his humble obeisances and greeted the Lord wholeheartedly.The Lord then revealed that He had come to Kalna with a purpose and that He desired to have Suryadasa’s daughter as His wife. 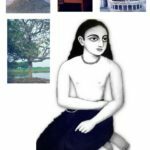 Suryadasa sarkhel knew everything about the identity of Lord Caitanya and Nityananda.His brother Gaudidasa Pandita was the incarnation of the cowherd boy Subala, in Krishna’s Vrindavana pastimes. 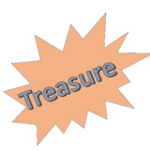 But by the influence of the Lord’s illusory energy, Suryadasa forgot everything at that particular moment and refused the Lord’s proposal upfront. He argued that it was not possible, as things had to be first considered based upon caste,stars and family background. 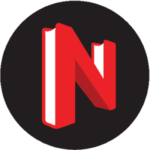 He continued that he was a brahmana while Lord Nitai was an outcaste. Being refused,Lord Nityananda immediately left the place while Suryadasa went inside his house feeling disappointed. Srila Krishnadasa Kaviraja Goswami is the author of the great bengali classic,Sri Caitanya Caritamrta, the principal work on the life and the teachings of Sri Caitanya Mahaprabhu, the Supreme personality of Godhead.Lord Caitanya had descended about 500 years back, here at Navadvipa in Bengal,in order to propagate the congregational chanting of Krishna’s holy names (refer – ‘YogPeeth, Mayapur, Navadvipa – The birthplace of Sri Caitanya Mahaprabhu’). Sri Caitanya Caritamrta helps us relish the most heart rending pastimes of Sri Krishna Caitanya, that defy the investigative and descriptive abilities of modern psychologists and phenomenologists of religious experience. Srila Bhaktisiddhanta Saraswati Thakura, one of the most highly revered acharyas of our Gaudiya sampradaya, had once correctly predicted that a day would arrive when the people from different parts of the world would learn Bengali, just to relish the nectar of Caitanya Caritamrta. The prediction has indeed come to pass.The world shall ever be grateful to Srila Krishnadasa for giving us a glimpse of our rich heritage ; for giving to us Sri Gaurahari, the very lord of our lives. Sri Locana Das, the dear disciple of Sri Narahari Sarkara Thakura, is renowned all over the three worlds as the author of the great bengali classic, Sri Caitanya Mangala, the beautiful musical composition of Lord Gaurahari’s manifested pastimes.It has been composed with such ecstasy and poetic rhythm ,that simply reading it is sufficient to evoke within one the emotions of divine love and attachment for Sri Krishna Caitanya, the Supreme personality of Godhead.Sri Locana das serves as Locana sakhi in Krishna’s vrindavana pastimes. In Vaishnava acara darpana, it is mentioned that the potency of King Vrishbhanu’s niece , ‘Tara’, has also incarnated as Sri Locana Das Thakura, in Mahaprabhu’s pastimes. Locana Das was a contemporary of Sri Vrindavana Das Thakura, the author of Sri Caitanya Bhagavata, another revered biography of Lord Caitanya’s heart melting pastimes. Sri Narahari Sarkar Thakura, who was the incarnation of the sakhi Madhumati, and who was very dear and completely surrendered unto the lotus feet of Sri Gaurasundara, once desired for a book to be composed in bengali, that shall depict the heart melting pastimes of Sri Krishna Caitanya. 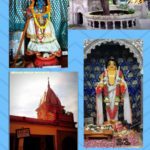 He desired that the biography would uphold before the world the esoteric treasures of Gaura lila and shall help the readers develop love and attachment unto the Supreme (refer – ‘YogPeeth, Mayapur, Navadvipa – The birthplace of Sri Caitanya Mahaprabhu’). It was only to give shape to the desires of Narahari ,that Locana das had taken birth in this world.Taking shelter of his Guru, he composed the ecstatic ‘Caitanya Mangala’, thereby satisfying the yearnings of his spiritual master. 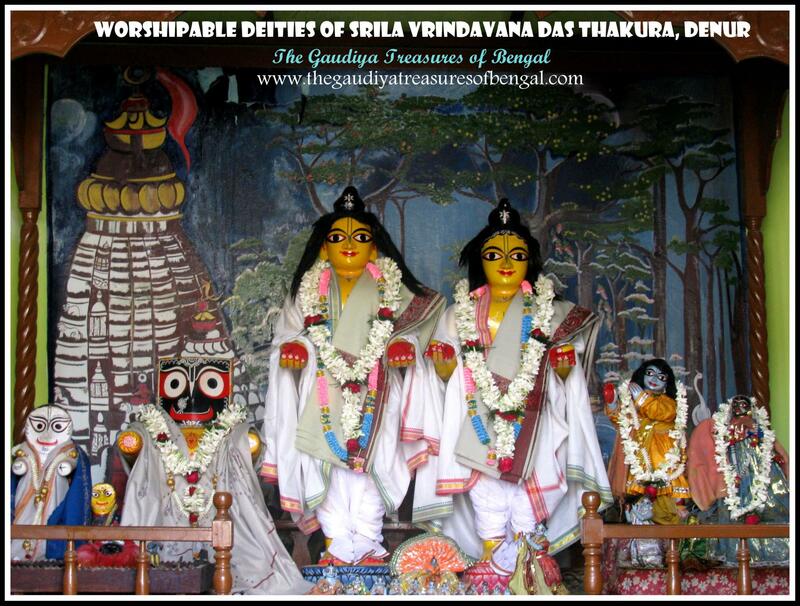 ‘The Gaudiya Treasures of Bengal’ has covered the life and pastimes of Sri Narahari Thakura in a separate article entitled – ‘The Great Vaishnavas of Srikhanda’. Sri Kaliya Krishna Das is an intimate associate of Lord Nityananda .He is the ninth of the twelve Gopalas (Dvadasha Gopalas) who have assisted Lord Nitai in manifesting His magnanimous pastimes. 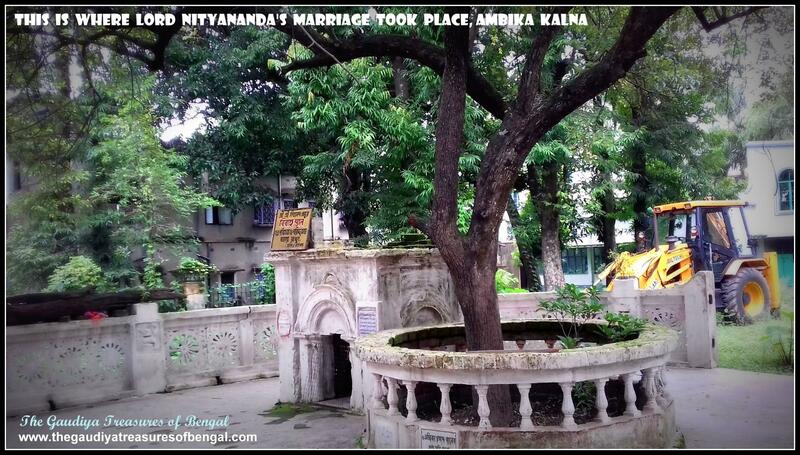 Within the desire tree of devotional service, Sri Kaliya Krishna is the 22nd branch to have arisen out of the trunk of Nityananda prabhu.Sri Gaura Ganoddesha Dipika reveals the identity of Sri Kaliya Krishna Das as the cowherd boy Lavanga ,in Krishna’s Vrindavana pastimes. 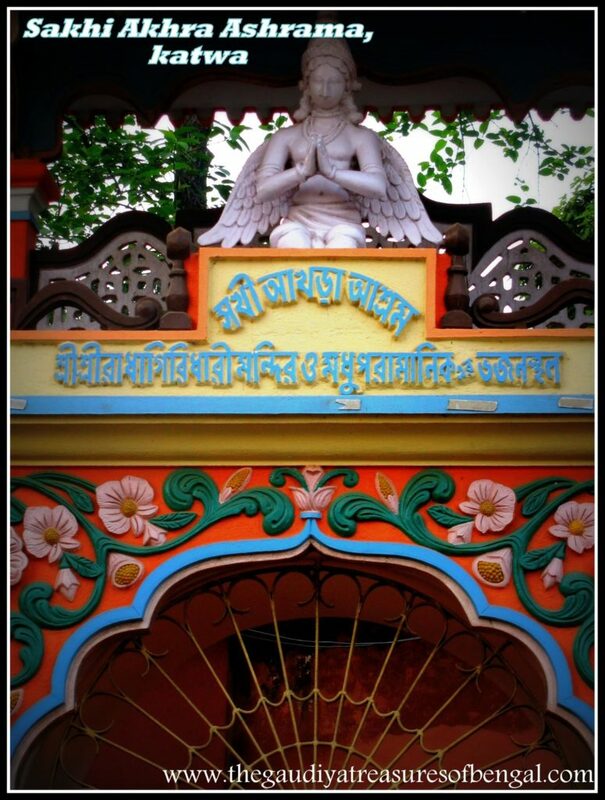 Sri Caitanya Bhagavata exclaims that one who simply remembers Kaliya Krishna das is sure to attain the lotus feet of Sri Gauranga and Nityananda.Sri Kaliya Krishna das or Kala Krishna Das , as he is often referred to, had his headquarters here at Akaihata, near Katwa. It is worthwhile mentioning, that Sri Kala Krishna das should not be herein confused with another devotee with the same name, who had accompanied Lord Caitanya in His south India tour.The other devotee, who had to be personally rescued by Caitanya Mahaprabhu from the clutches of the Bhattaharis, was a different person. Sri Uddharana Datta Thakura is an eternal associate of Lord Nityananda. He is one of the most prominent of the twelve cowherd boys (Dvadasha Gopala) who had assisted Lord Nitai manifest His magnanimous pastimes.Sri Gaura Ganoddesha Dipika reveals that Sri Uddharana Datta was the incarnation of Subahu, the intimate friend of Krishna and Balarama in vrindavana. Nityananda Prabhu, was his very life and soul and he had served his master in all possible ways.Prema Vilasa reveals that Lord Nitai used to relish the prasada cooked by Uddharana Datta. Not only He but even Sri Gaurahari enjoyed his cooking a lot. Srila Krishnadasa Kaviraja reveals that Sri Uddharana datta Thakura was the foremost of the Maha Bhagavata devotees who completely engaged his mind,body and words in serving Nityananda Prabhu, his eternal Gurudeva. Srila Prabhupada mentions in his purport, that Sri Uddharana Datta was born with the right to worship Sri Nityananda Prabhu.Sri Uddharana belonged to the caste of suvarna baniks (gold merchants) who were looked down upon in the society, in those days.Lord Nitai however stayed in Saptagram,at the house of Sri Uddharana Datta, for many months, and by His grace and association ,all the suvarna baniks (gold mercantile community) regained their stature. Sri Caitanya Bhagavata also glorifies the ecstatic pastimes that patita pavana Lord Nitai had manifested here at Saptagram in order to deliver the members these so called outcastes. Surrendering his life unto the lotus feet of his spiritual master, Sri Uddharana , who had hailed from a very opulent gold mercantile family,subsequently renounced his wealth, fame ,prestige and accepted the robes of a mendicant to further the cause of Krishna consciousness.Being Nityananda Prabhu’s personal cook, Sri Uddharana received the rare fortune of accompanying the Lord wherever He travelled. O ! The residents of Srikhanda, there is no limit to your great fortune ! Srikhanda, whose glories are sung all over the three worlds, whose dust the demigods hanker to smear over their bodies , is so easily accessible to you. You are amongst the chosen few who ,having being immensely blessed by Sri Krishna Caitanya, are able to take birth in this sacred land. Sri Krishnadasa Kaviraja here reveals, the noble lineage of the residents of SriKhanda (Khandavasis). They belong to the land of the most worshipable intimate associates of Sri Caitanya Mahaprabhu. Sri Narahari Sarkara Thakura (40th branch of Mahaprabhu’s desire tree of devotional service), Sri Mukunda das (the 39th branch) and his son Raghunandana (manifestation of Pradyumna), Sri Ciranjiva (41st branch) and Sulocana(42nd branch) ,all of them have mercifully appeared and manifested their exalted pastimes here at this sacred place. 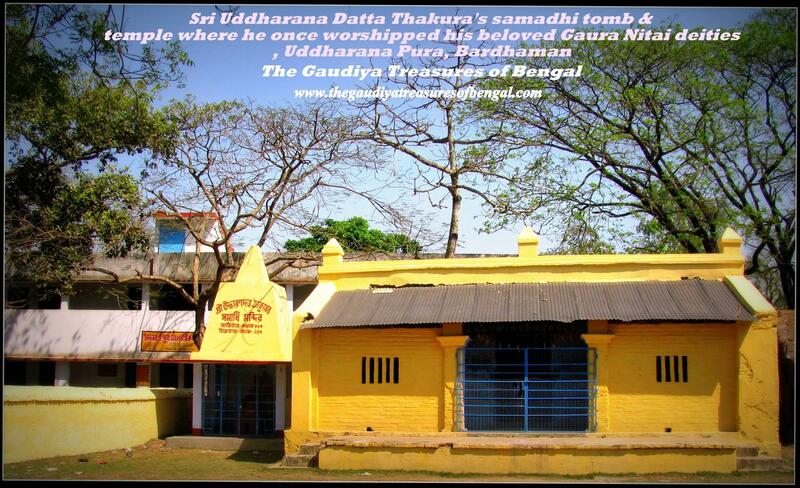 ‘The Gaudiya Treasures of Bengal’ considers itself greatly fortunate to have been able to enter and serve this cintamani (wish fulfilling) dham. May I visit and constantly contemplate upon all those places where Lord Caitanya performed His sweet pastimes along with His intimate associates. We seek the blessings and compassion of the fortunate residents of Srikhanda, before attempting to narrate some of its heart-rending pastimes. 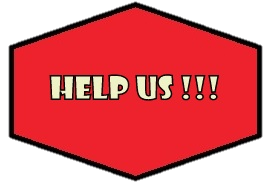 The readers are here requested to excuse any of our unintentional mistakes ,as we are mere fools ,who, not knowing our limits, are trying to delve deep into this esoteric well, to excavate the mesmerizing jewels that adorn the devotees of Sri Gaurasundara. Sri Srinivasa Acharya was the manifestation of the Love of God and the incarnation of Mani Manjari, who eternally assists Sri Guna Manjari (who had appeared as his spiritual master, Sri Gopala Bhatta Goswami) , in serving Sri Radha and Krishna in Vrindavan. 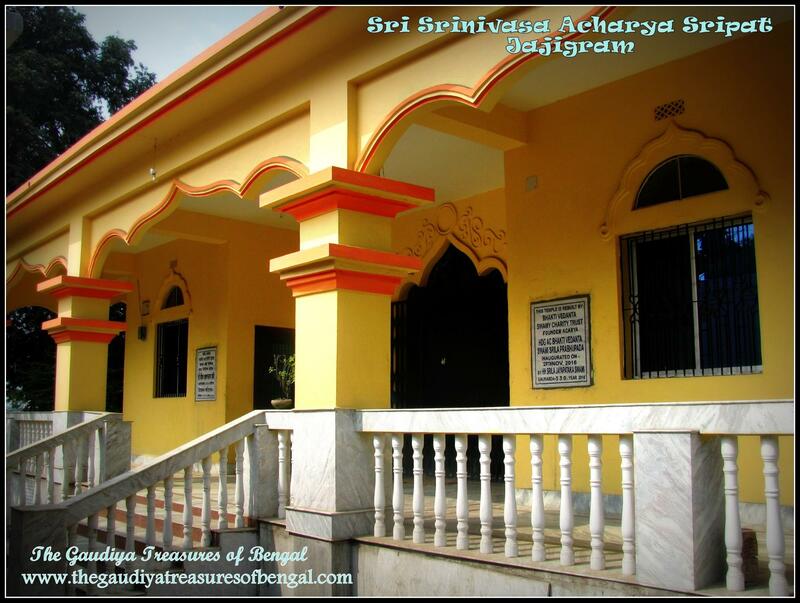 Sri Srinivasa Acharya was born around the year 1442 AD.His father was Sri Caitanya Das and his mother was Srimati Lakshmipriya devi. He was empowered and blessed by the Supreme Lord to widely distribute the love of God to one and all. 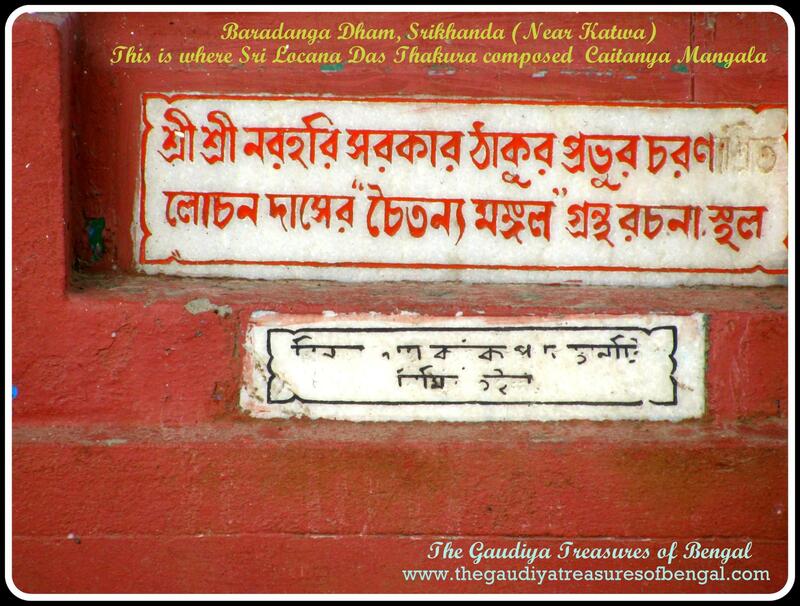 Sri Caitanya Das’ original name was Gangadhara Bhattacharya, and he was one of those who had the rare opportunity to witness Sri Caitanya Mahaprabhu’s sannyasa initiation at Gauranga bari , in Katwa. It was very heartbreaking for those present, to witness Lord Caitanya , whose beauty surpassed that of a millions of moons, shave off His beautiful hairs and accept the robes of a renunciant. At the same time, those present were immersed in a wave of ecstasy, being able to behold the Lord’s beautiful form, and His captivating intoxicated mood. We have covered Lord Caitanya’s sannyasa initiation pastimes in a separate article entitled ‘Sri Gauranga Bari (katwa) – Where Mahaprabhu accepted Sannyasa’. Such was the effect of the Lord’s sannyasa on Gangadhara ,that he began chanting Sri Caitanya’s names day and night. He constantly cried “Ha Caitanya! Ha Caitanya! Krishna Caitanya!” . Such was his intoxication in divine love for Mahaprabhu, that people nicknamed him as Caitanya Das. This is how ,being a recipient of Lord Gauranga’s mercy, Sri Gangadhara Bhattacharya came to be subsequently known as Caitanya Das.He and his wife lakshmipriya devi were blessed by Lord Caitanya, and as a result these fortunate souls could subsequently become the proud parents of Sri Srinivasa Acharya, the manifestation of Mahaprabhu’s ecstasy. Srila Vedavyasa incarnated as Vrindavan Das Thakur in Lord Caitanya’s pastimes. Krishna’s friend Kusumapida also entered into him for special purposes. Srila Vrindavana Das Thakura is the original vyasadeva of Mahaprabhu’s lila. His spiritual master was none other than Lord Nityananda, the adi Guru Himself. Being empowered by his Guru, Srila Vrindavana das, has narrated an amazing heart-rendering biographical account of Lord Caitanya’s divine mood and His exalted pastimes, in his composition Sri Caitanya Bhagavata, which is today one of the most revered books of our Gaudiya Sampradaya. Srila Bhaktisiddhanta Saraswati Thakura (founder acharya of the Gaudiya Mathas) , has greatly glorified Srila Vrindavana Das in his Caitanya Bhagavata purports. Srila Bhaktisiddhanta writes that Srila Vrindavana das Thakura’s love and devotion towards his spiritual master Nityananda prabhu is simply incomparable. He mentions how Vrindavana Das was a topmost preacher of Caitanya Mahaprabhu’s philosophy and how he constantly engaged himself with all his mind, body and words, in preaching the glories of the Vaishnava acharyas. A.C Bhaktivedanta Swami Prabhupada (founder acharya of ISKCON) has also sung great glories of this towering personality. In one of the initiation lectures in boston, prabhupada mentions how Vrindavana Das Thakura is one of the great acharyas of our Gaudiya sampradaya, and how we should all pray for his causeless mercy.